Principal Edinburgh Charlotte Square Wedding Venue Review is a blog that had to be done! Gordy is a DJ had the great pleasure of visiting this venue for the first time, but hopefully not our last. 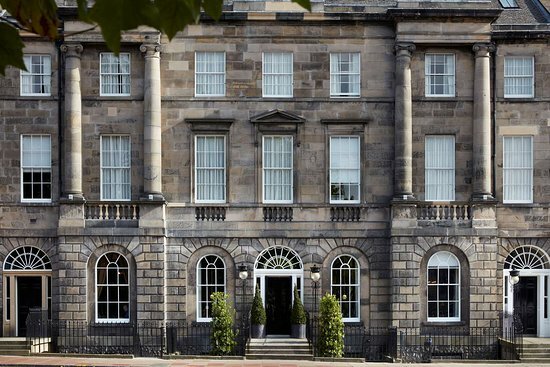 Formerly the Roxburghe Hotel, The Principal Edinburgh Charlotte Square is set overlooking one of Edinburgh’s prettiest private garden squares. It consists of seven inter-connecting 18th century Georgian townhouses in the heart of the New Town of Edinburgh. Offering wedding couples various options, this venue is not only stylish but has panoramic views over the city and the historic Edinburgh Castle. There are ample opportunities for photographs, both inside and out! The Gallery was the function room that Gordy is a DJ had the pleasure of performing in. This room can cater for small or large weddings as 80 – 240 guests can be seated for the wedding breakfast. The new Mr and Mrs Buckley had chosen fabulous blue mood lighting as the picture below clearly demonstrates. It really was a lovely transformation with Gordy is a DJ receiving many compliments about how beautiful the room looked! Access to this venue is a dream for wedding suppliers. With it’s own loading bay on George Street, Gordy is a DJ did not have to be concerned about access issues that some city centre venues unfortunately incur. Through one set of double doors takes you directly into the suite resulting in a speedy and hassle-free set up experience! You do have to move your vehicle after you have unloaded but this is standard practice for most wedding venues. The Gallery function suite has it’s own dance-floor, bar and plenty of space for additional attractions e.g. light up letters or photobooths. The staff were helpful in advising Gordy is a DJ about timings of the evening and ensured that we had everything we needed – thank you! With plenty of accommodation available to wedding guests, this hotel makes everyone feel important and looked after. We thoroughly enjoyed visiting this luxury hotel and look forward to returning in the future! 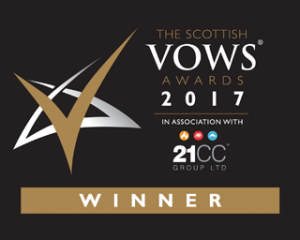 For more information about our multi award-winning wedding DJ service, please get in contact here!